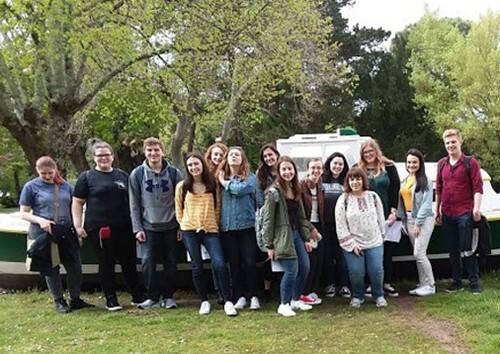 A group of U-E and M-E French Exchange students arrived in France safely and are immersing themselves in the language and culture. The students are staying with host families in Arcachon, France. They are attending classes St Elme High School during part of the day as well as visiting important sites. Recently, they toured the "Ville d'Hiver" (the winter town) of Arcachon. In the photo students are in front of a traditional fishing boat in the Parc Mauresque. Stay tuned for more photos and details about this wonderful opporutnity for our students.